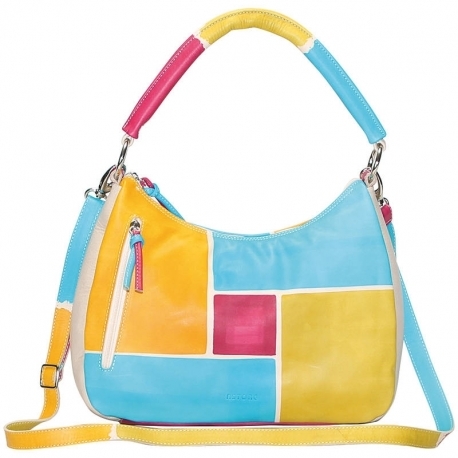 Natural leather handbag, handpainted, with multicolored shoulder strap, metal rings and zip fastener. 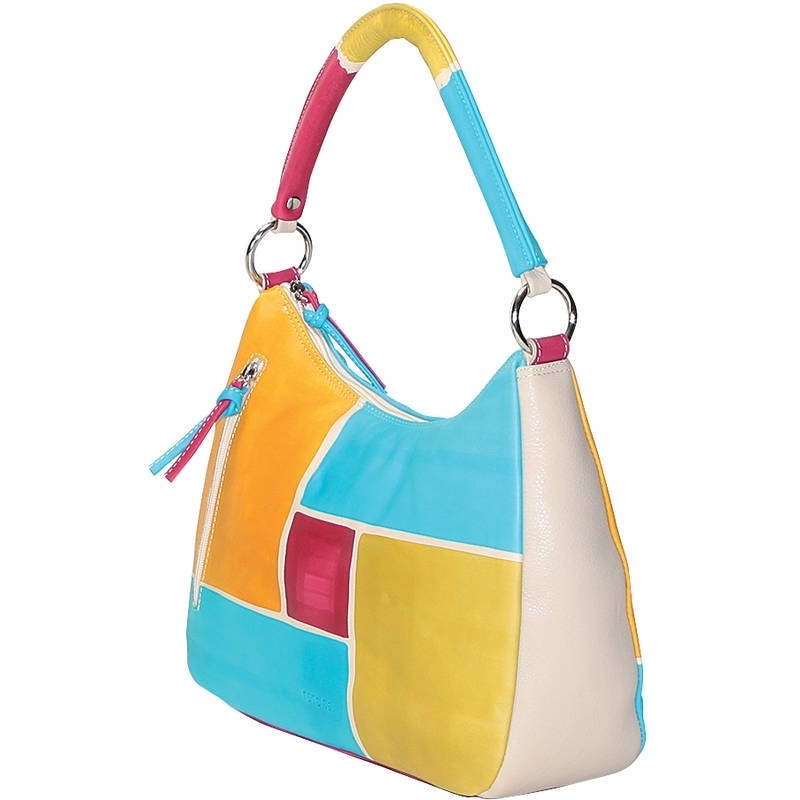 It can be worn as across body bag, ideal for both free time and casual clothes, and for more formal situations, it fits at any age. All Acquerello handbags can be purchased with matching shoes, wallet, belt and other accessories. Colors fuchsia, green, yellow and light blue and geometrical pattern.